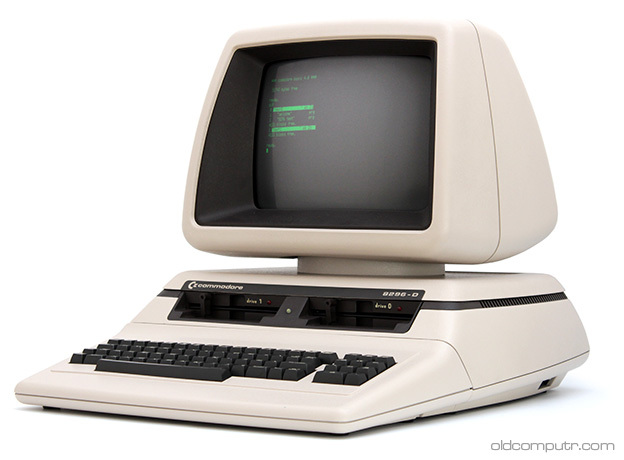 This computer represents the swan song of the PET line: the failure of the CBM-II and the unstoppable advance of the PC in the business sector forced Commodore to stop the production of these computers. 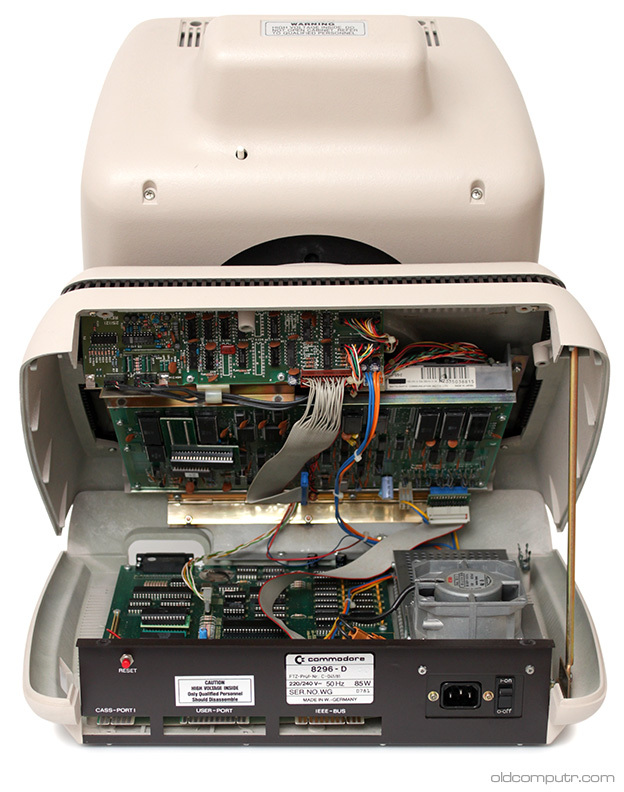 When I took home this machine, the first item I checked was the power supply unit: I replaced the RIFA filter capacitors before they blew up. The one in the picture had already exploded. It took me some time to have a complete working computer. Last year I called a person who had published some classifieds online; since he lives nearby, I went to his place to take a look at all the items. 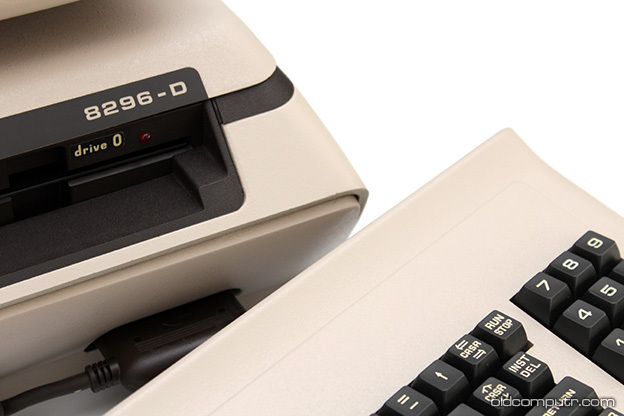 The prices were too high, but when I was about to leave I saw this 8296-D on a shelf, without the keyboard. The guy told me it didn’t work; he tried again to turn it on but it didn’t show any sign of life: I bought it at a low price with the hope to being able to repair it… and the faint hope of finding a keyboard. Usually the owners of these machines throw away the keyboard, and when they clean the attic they put the computer on sale without it. 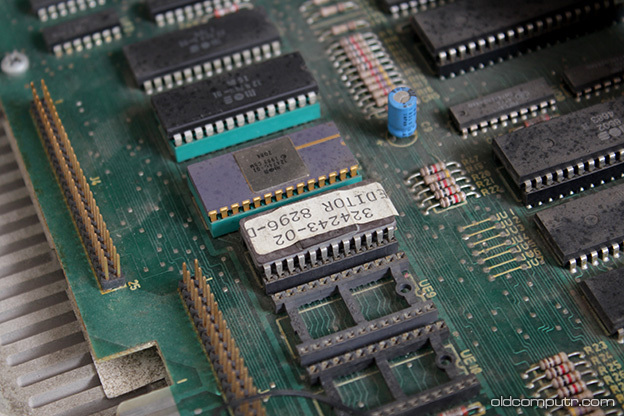 My 8296 (the same computer, but without the drives – that’s the reason for the “D” in the name) has a very similar motherboard, so I was able to start checking the socketed ICs: the first I verified were the two PLAs, statistically more prone to fail, and they were both dead. So the machine state passed from “no sign of life” to “endless drive loop at startup”; I disconnected the drives to focus on the main board. The computer played the usual beep at startup but it didn’t show anything on screen. A simple PRINT CHR$(7) produced a beep, indicating that there were no problems on the main ICs. The cause of the absence of video output could have been due to a fault on the motherboard or on the monitor. 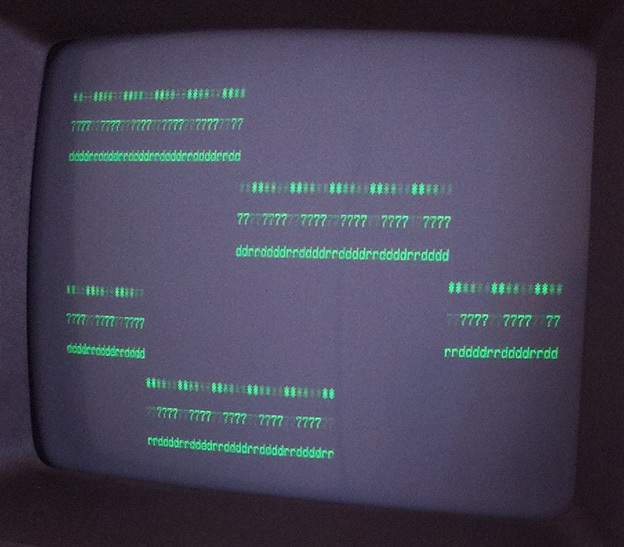 The 6545 IC (video address generator) was working perfectly. 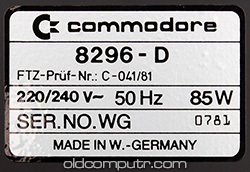 I tried to swap the monitor of this 8296-D with the one from the 8296: the connector is identical and the two computers are part of the same family, but I learned the hard way (luckily just a blown fuse) that the two displays work with different voltages and aren’t compatible. 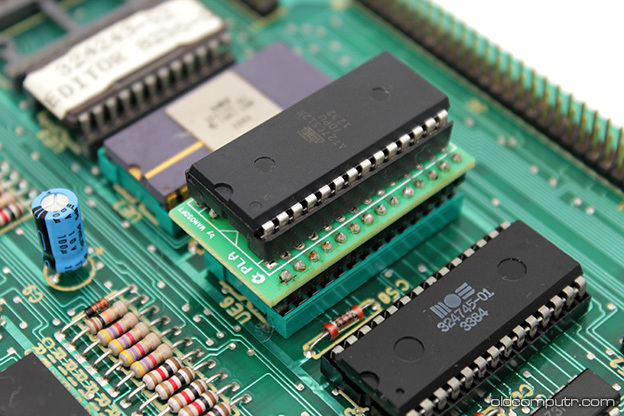 I called my friend Xad for some advice: after taking a look at the computer schematics he suggested replacing a small IC in the video section (74LS86). I did that, but it didn’t solve the problem. When he came here some time later, I gave him the main board to search for the fault with more adequate equipment. Before handing the main board to Xad I worked on the drives. Here I got lucky: the first socketed IC that I checked (a 6532, RAM and I/O timer aka RIOT) was faulty. 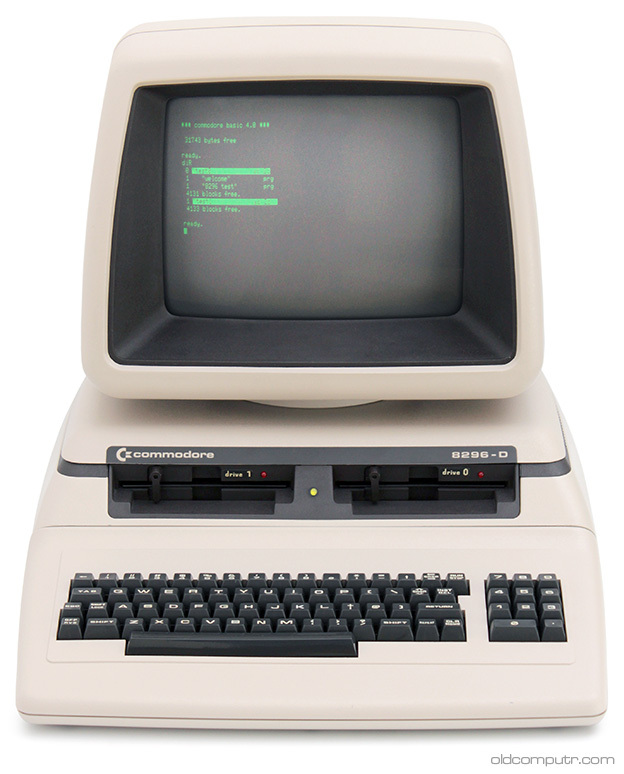 Once replaced, I was able to initialize a floppy in both drives by typing the HEADER command – even if I didn’t have any visual feedback; I verified the floppies on a working machine. 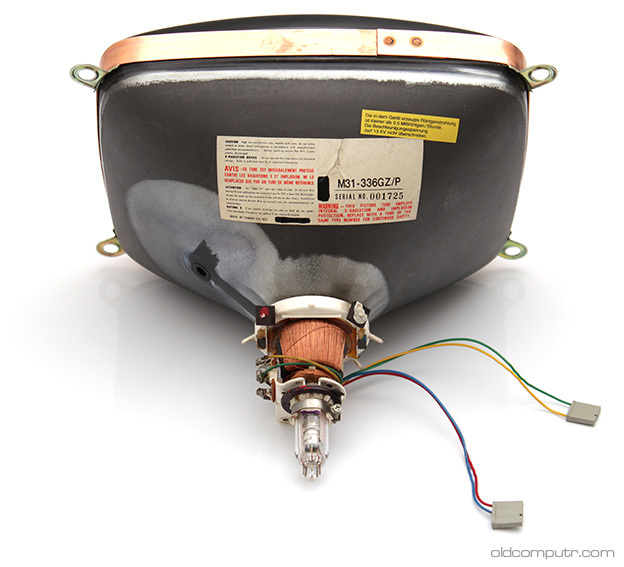 The problem of the lack of video was solved by replacing another faulty IC, a 74LS74. Regarding the two PLAs, I had one spare, the other one was done by Xad with an adapter. 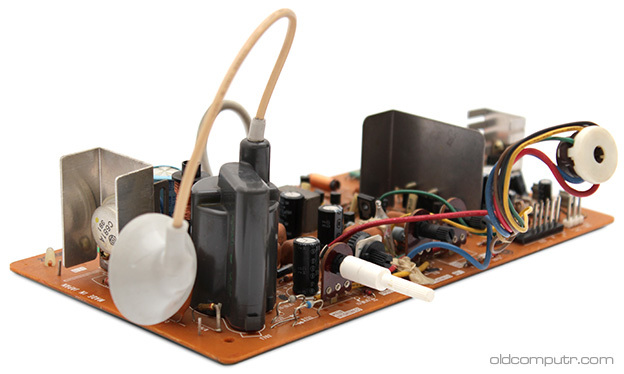 The small board was made by Damiano Colombari, known for his C64SD Infinity. While I was waiting for the motherboard to be repaired, I trawled the web for a keyboard; at one point I found a similar computer on the German eBay, without monitor and labels, reported as an 8032-SK, untested. With these premises, the price didn’t go up too much, so I won the auction. The computer was an 8296. The 8296-D was dirty and very dusty, so after the first tests I took the computer apart to clean it thoroughly. 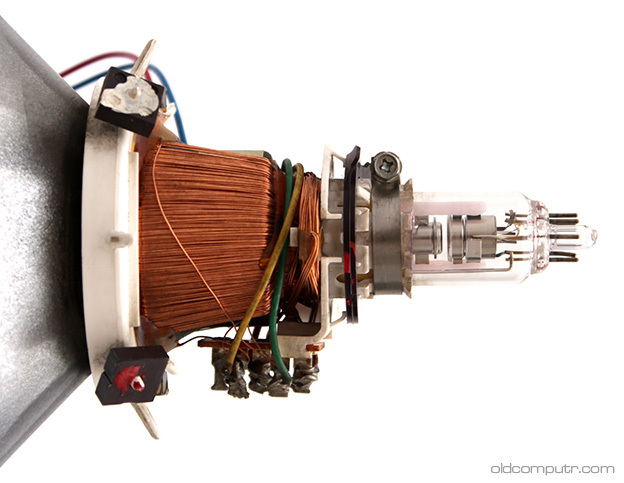 Here are some pictures of the cathode ray tube and its board after being cleaned. Lately I have disassembled many keyboards, it’s a very boring task and sometime it’s a bit painful… fingers are the only tool that let you remove the keys without scratching or ruining them. 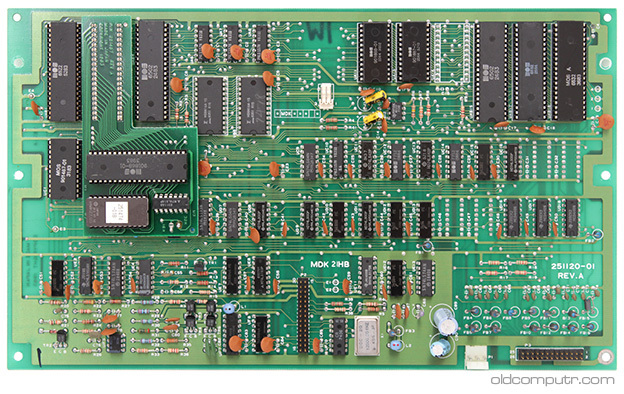 When I got the repaired main board back, I was very happy to finally have a complete working machine. Besides the obvious video artifacts, the computer often froze shortly after a reset or power on. 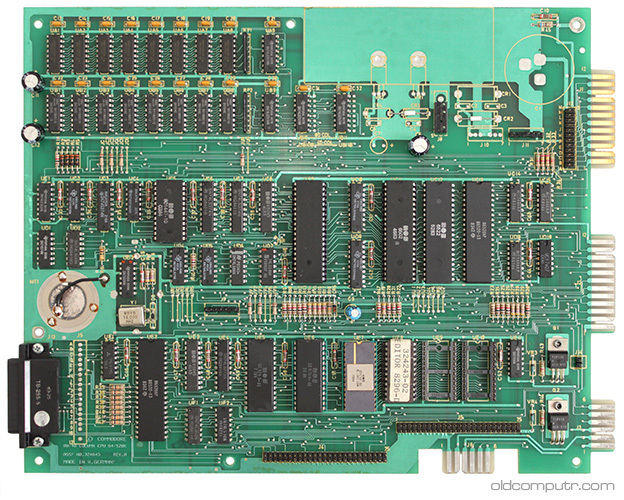 Xad immediately pointed me to the RAM multiplexers, the 74LS257. Since there are 4 of them, all soldered to the motherboard, to find the faulty one I asked for help from another friend, Kristian, who came to my place on a Sunday afternoon with its oscilloscope. After a quick look at the machine schematics, he agreed with Xad’s diagnosis and found the faulty IC. Once replaced, the computer worked perfectly. From the aesthetic point of view, I think that this is the most beautiful computer Commodore ever made: the first PCs were often anonymous parallelepipeds, and for many years to follow that never changed. 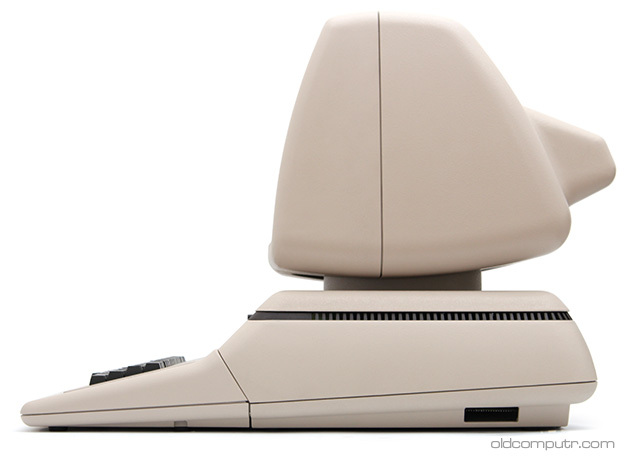 The futuristic and sinuous lines of this line of computers and the attention to aesthetics as well as function returned, in my opinion, only with the iMacs from Apple at the end of the nineties. The colour of the case, compared to my 8296, is different. 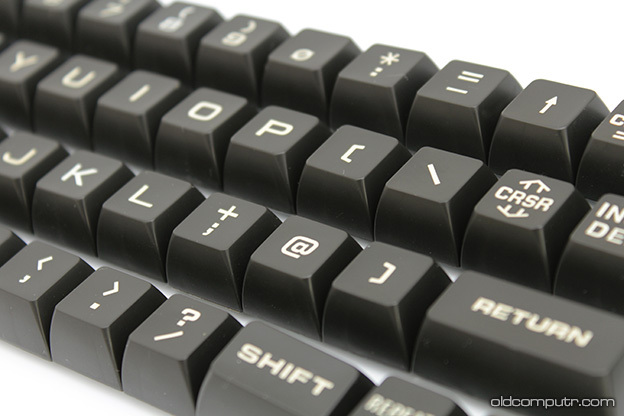 I saw both computers in the two colours: a light cream, usually with grey keys with black letters, or a slightly darker colour (sometimes referred as a “tan” case), with dark brown keys and light letters. Looking at the serial numbers and some pictures on the net, I think that early models had the darker colour case, while the later ones had the lighter one. Great post and beautiful pictures! 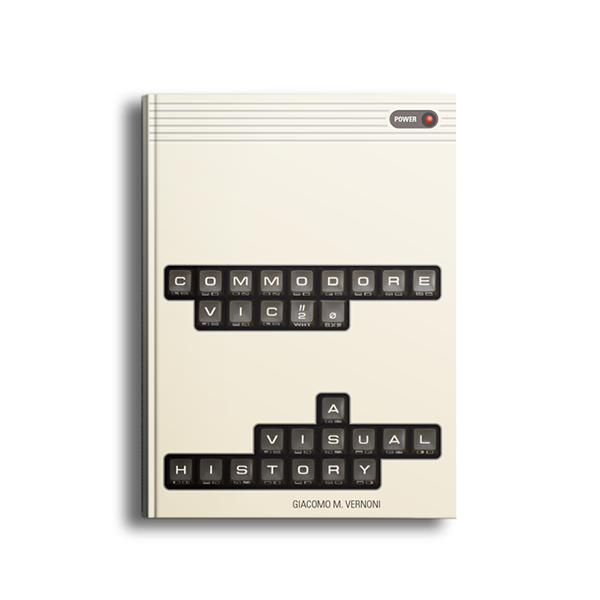 I’m planning to buy the exact same model to my own Commodore collection. What type of floppy’s do these machine use? Hi Robert, the drives in the 8296-D use the uncommon quad-density disks, like the 8250 and 1001. I have used double density disks for some tests and they worked fine.